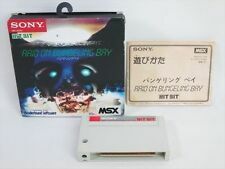 Home » Forum » MSX Talk » Off-topic » loooook at those teeeeeeeeth ..he died..
loooook at those teeeeeeeeth ..he died..
Steve Irwin (44), killed by the byte of a stingray..
Actually, does this beg for a homage-game on MSX? The ingredients are there.. hero, animal-enemies ..
Or Space Manbow 2 -> Space Stingray. I'm so sorry I'm not in charge here, for I'd ban your IP, wipe your account for life, and give your place to a chimpanzee, who -no doubt- contributes in a more positive way. Give me *one* reason why I shouldn't try to let this actually happen this evening?